In the first half of the 20th century, something wonderful happened in America. Out of vaudeville and music hall theaters, jazz and folk, and the native songs of Stephen Foster, there arose an amazing outpouring of great songwriting. Popular songs, Broadway show tunes, jazz standards, and eventually songs from movies. Some were all four. Some artists, like Ella Fitzgerald, Billie Holiday, Sarah Vaughan, Frank Sinatra and the like performed and recorded in a way that put them in multiple categories. The songwriters were numerous. Many are household names: Rogers and Hammerstein, Rogers and Hart, Irving Berlin, Hoagy Carmichael, Jimmy Van Heusen, Jerome Kern, George and Ira Gershwin, Johnny Mercer, Cole Porter, Duke Ellington. Many are less well known: Walter Donaldson, Harry Warren, Isham Jones, John Green, Ray Noble. All in all, Alec Wilder lists over 150 songwriters and lyricists in his definitive American Popular Song: The Great Innovators 1900-1950 (Oxford, 1972). The craft of these composers explodes in so many directions. Many of them explored the possibilities of incorporating complex rhythms, harmonies, melodies, and chord changes without losing a mainstream audience. Then along came Elvis and rock and roll. While popular songs continued to be crafted, rock ‘n’ roll took center stage and beckoned the young public of the 1950s to swing to America’s simpler and more raw country, blues, soul, and jump band roots. New dances, harder-hitting rhythms, sexier inferences. Good stuff! And the market for non-rock popular music shrank. On July 14, 2017, I got to see and hear Mr. Bacharach perform many of these songs at Seattle’s Jazz Alley. With impeccable arrangements and a quality band of studio musicians featuring five singers, counting Mr. Bacharach, the 89-year-old tunesmith brought the house down all night long. 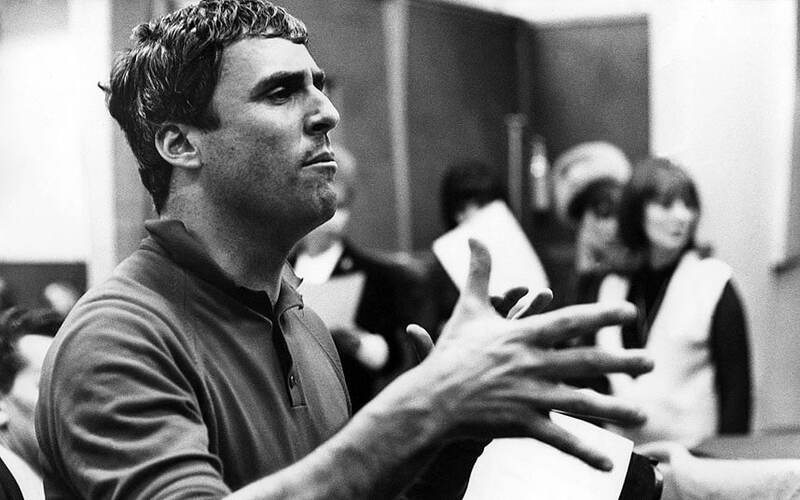 Originally inspired by Maurice Ravel’s Daphnis and Chloe, and later a student of composer Darius Milhaud, Burt Bacharach has taught America to sing in odd time signatures and make difficult melodies seem as simple as 1-2-3 (try to count out Promises, Promises for example). We tend to think such artistry just spills out of these creative souls, but more often than not, it is a hard-fought dedication to craft and the 90% perspiration that gets started with that 10% inspiration. Thank you, Mr. Bacharach, for the chance to be in the same room with you and hear these great songs performed tonight. If you think there is a great songwriter of the 60s I’ve left off, one who consistently utilized innovative harmonies, chord changes, melodies, and rhythms, by all means, comment and edumacate me! Glad that you wrote this, thoughtful post. With my general laser focus on jazz performance I lose sight of how jazz relates and is meshed with other music and its qualities. I think too that Bacharach was up at the top in terms of the size of his output and quality of his compositions and arrangements. A couple of others come to mind who had Bacharach’s impeccable quality but not the massive output were Johnny Mandel and Henry Mancini. When McCoy Tyner did a CD of Bacharach, my kneejerk response was “What the %!@#” ? Then it hit me that he must have been paying tribute to the breadth and quality of Bacharachs’ work. Cool beans, Jim. Help me out here: What are some of the notable songs of Mandel and Mancini (Theme from A Summer Place? Pink Panther?). Also, I focused on US/Canadian songwriters. Once you add in Brazil, in particular Jobim, you can probably add another 5 or 6 to the list of songwriting innovators producing in the 1960s.